The fourth quarter of 2017 saw worldwide sales of smartphones decline for the first time since 2004, according to Gartner’s latest smartphone market report. 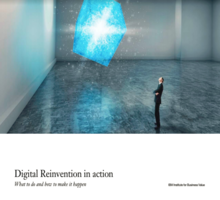 There are two main factors why this happened, says Gartner’s research director Anshul Gupta: Upgrades from feature phones to smartphones have slowed down to a crawl, and replacement smartphone users are choosing quality models and keeping them longer. “Moreover, while demand for high quality, 4G connectivity and better camera features remained strong, high expectations and few incremental benefits during replacement weakened smartphone sales,” Gupta wrote in the report. 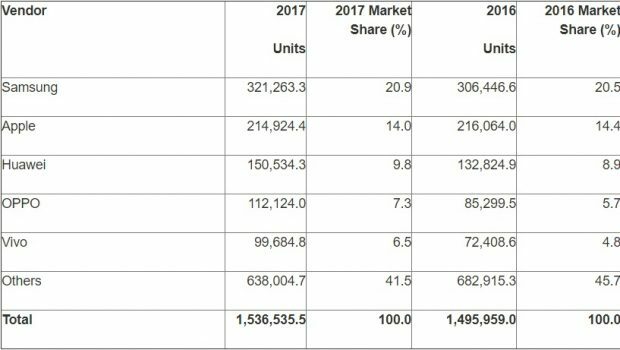 Despite seeing a 3.6 per cent year-on-year decline in units, Samsung still reigned supreme and topped Apple as the top global smartphone vendor. Sales of the Samsung S8 and S8+ have slowed down, but the reliability of those models, Gartner says, has helped the company improve overall average selling prices. Samsung is poised to announce the successors to its Galaxy series of smartphones at Mobile World Congress (MWC) this year. 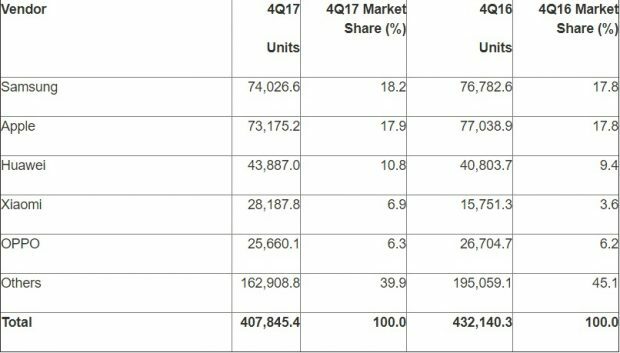 Apple iPhone sales fell five per cent during the fourth quarter of 2017, compared to the same quarter in 2016. The introduction of the iPhone X led to slow upgrades for the iPhones 8 and 8 Plus, suggests Gupta, adding component shortages and manufacturing capacity constraints – the phone’s 3-D sensor that recognizes faces and unlocks the handset were giving Apple partners and laser suppliers headaches – negatively impacted Apple’s numbers. “We expect good demand for the iPhone X to likely bring a delayed sales boost for Apple in the first quarter of 2018,” he says. Last year’s fourth quarter winners were from the Chinese market. Huawei and Xiaomi, the only smartphone vendors to achieve year-on-year unit growth, with 7.6 and 79 per cent, respectively, increased its lineup of smartphones, while Xiamoi’s Mi and Redmi models, were welcomed by the emerging Asia/Pacific market, says Gartner. Google’s Android OS extended its lead by capturing 86 per cent of the total market in 2017, a 1.1 per cent jump from a year ago. The Apple iOS captured 14 per cent. In 2017 as a whole, smartphone sales to end users totaled over 1.5 billion units, an increase of 2.7 percent from 2016.